Rohr Shifts Focus To 2019 AFCON Qualifiers – Royal Times of Nigeria. 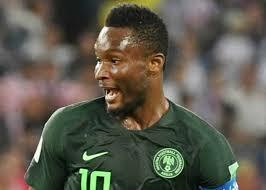 Coach of the Super Eagles Gernot Rohr has made a passionate appeal to team captain John Mikel Obi not to end his international career just yet but to help the team reach the next AFCON in 2019 which is now the target after the elimination from the 2018 FIFA World Cup. Mikel had said he was considering retiring from the team after twelve years although he’s yet to reach a definite conclusion over the issue but Rohr claims the influence of the player on his teammates is one of the reasons why he has enjoyed working with the Super Eagles in his two years in charge. Rohr also said with the team’s ouster, the next target will be the 2019 African Nations Cup qualifiers which resumes in September. Nigeria have missed the last two editions of AFCON having failed to qualify since winning the 2013 edition in South Africa. 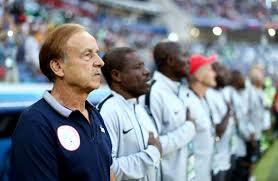 The Super Eagles will face Seychelles on the seventh of September before playing Libya at home on the tenth of October. The return leg is three days later on the thirteenth. The last game for the year will be away to South Africa on November 6th before the qualifiers go on recess till March 2019.